To keep everyone updated with my my previous post/s, here’s some links regarding the official launch of the Aquitarian Guild of Inventors & Engineers or AGIE for short. Used for future AGIE updates rather than spamming Brass Goggles with posts. The core AGIE mailing list. We urgently need as many people as possible to join the mailing list but more importantly, take part in the survey! 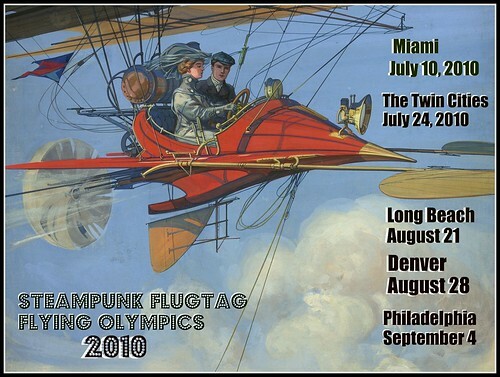 Anybody from any walk of life within the Steampunk community is welcome to join this list regardless of location. Please note we have a large opening for skilled artists to work with members of the guild in exchange for each other’s services as well. One of the guilds aims is to become the ultimate one stop repository of skilled proffesionals from the Steampunk community for both personal and corporate client bases. However the guild itself will always remain strictly none-profit. The exchange of money will be solely controlled by the parties involved. Authorisation most be sought from the guild prior to this so as not to bring the guild into disrepute for its other members. Providing previous examples of your work will satisfy this so that we hold a strong quality base. Temporary base of guild discussions until a proper structure has been put in place and the name of the guild voted on. After which, the website shall have its own dedicated forums. Let me start by introducing myself. My name’s Leonardo Wolfe but feel free to call me Leo. I’ve long been the occasional visitor to the Brass Goggles website and once had a stint at writing for the blog however unfortunately, I think only a couple of my posts came to fruitrition. 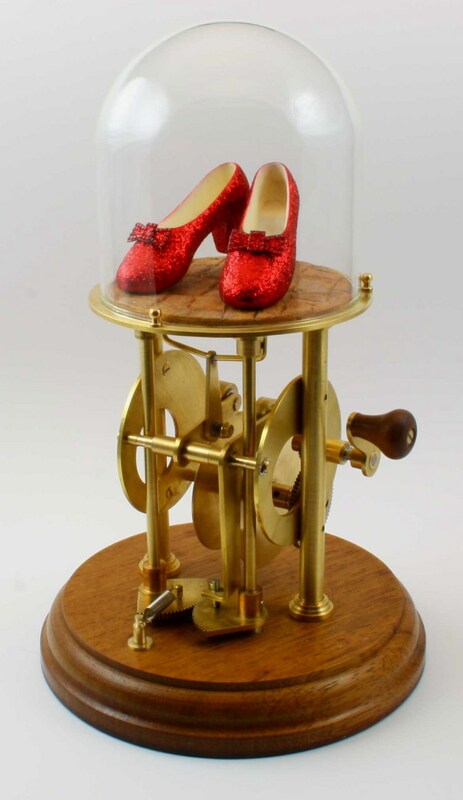 Long story short, I got myself into a commitment I couldn’t fulfil due to my terrible time management skills which leads me onto the irony that I’m a student with the British Horological Institute where I’m training to be a clock/watch maker. So, why am I here darkening your doorstep? I have a proposition for all the amateur and professional engineers and inventors out there and I need your help however big or small to spread the word and join in. I currently live in Cambridgeshire, England. The famous home of 84 Nobel Prizes and 8 Field Medals. The plan is to start in Cambridge and then to branch out nationally and potentially internationally. I’m hoping it really could become that big but I’m only testing the water here and it could go in the complete opposite direction. But what on earth am I talking about? 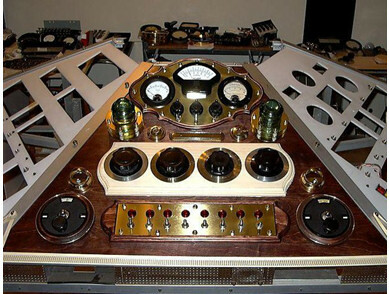 The idea is to start a guild (easy there MMORPG fans) of people that are mathematically and mechanically minded in the pursuit of creating devices and inventions from a period now long gone but which we’re all here to enjoy, admire and relive. A rebellion against the torrent of cheap, mass produced capitalist junk that rolls out of the worlds factories to end up in the garbage day after day. Melted down to create the next fad and stale function. However we’d be by no means political and this is something that would have to remain key to the guild. Discrimination and snobbery also wouldn’t be tolerated. So, due to the high level of talented students and professionals within the area, this seems like the ideal place to start such a project. Before we talk about drafting manifestos and creating secret handshakes (I joke), I need to gauge everybody’s initial interest. Now, the plan is we hold regular meetings within the Cambridge area however this will be determined by the average availability of those interested. A good idea if this takes off is to actually take minutes from our meetings so that we can publish them here or on a separate dedicated site so that others not so local and abroad can join in and contribute. As some of you may know, there’s regular lectures open to the public here in Cambridge and I don’t see why we can’t work our way up to some accredited recognition. However, this is a long way off. The plan is also to support each other in our inventions, that would be the heart of the guild be it swapping skills or maybe even applying for patents. Thank you for your time and I look forward to your ideas and suggestions. Also, a big thank you to Harold for allowing me start this project and post on Brass Goggles! 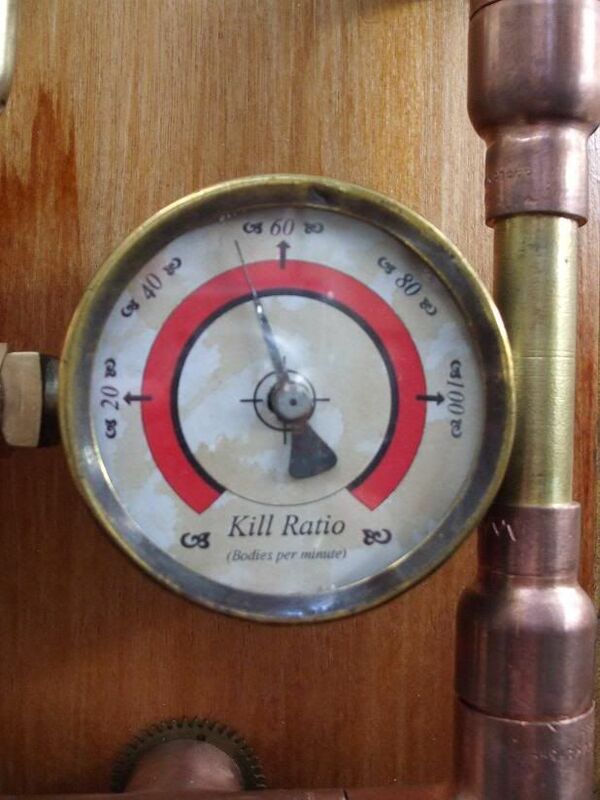 Lets get the steam ball rolling! Lykamobile – what’s not to like? 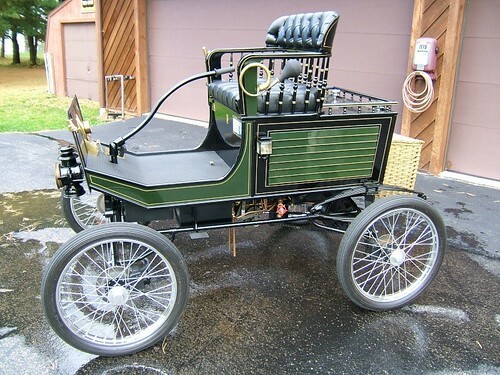 Fancy a steam powered auto to go with your goggles and duster? Well, look no further. Steam Traction World offers the LykaMobile, a ready to asssemble full size kit , delivered in a series of ready to paint and assemble kits over 18 months or as a complete set of kits from stock, complete with full assembly instructions and drawings. The Lykamobile is a full size steam vehicle similar to a Locomobile Style 2, but fitted with a modern boiler and different style of burner for safety reasons. The tyres are modern and treaded. Disc brakes are also fitted. The design reflects the Locomobile as far as is practical whilst maintaining a straightforward and cost effective design, utilising available materials and components. The engine has Modified Hackworth valve gear and is capable of 30mph with forward and reverse. A Lykamobile recently did the 1000 mile John O’ Groats to Lands End run to raise funds for Hearing Dogs for the Deaf. “The lives of robots have always been a topic explored by authors and artists alike. 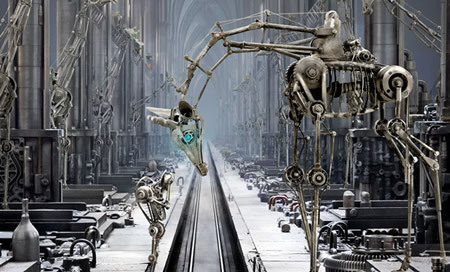 Isaac Asimov has written some of the best novels in the history of robots, DreamWorks created the computer animated movie Robots in 2005 and Pixar is currently making Wall-E.
“But it is not just the “big guys” who create amazing robotic art. Independent artist Andrew Chase is making this 50-page picture book about the Robot TME (short for “Trionic Morphatractable Engineer”)” and the pictures are absolutely stunning! See more at this Page. Thanks to a Mr Andy Barss for bringing this to our attention! 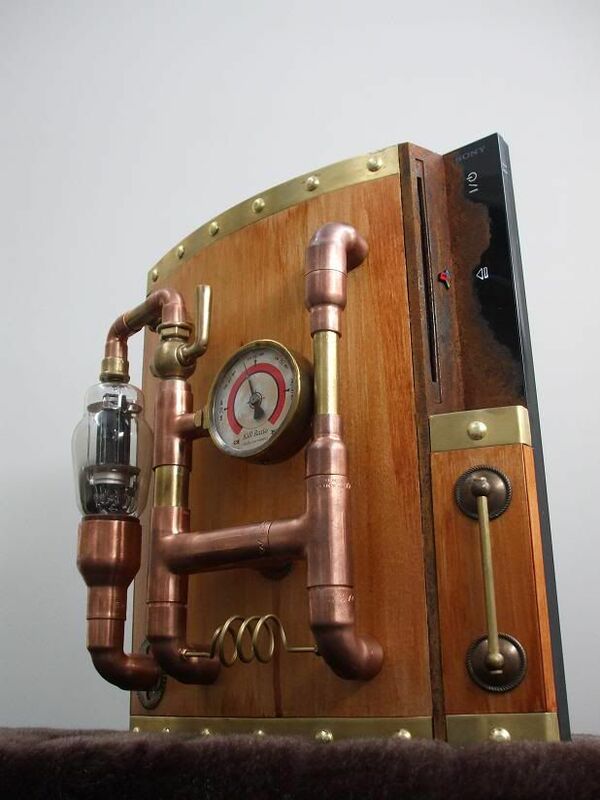 Mr. Jake of All Trades faces the daunting task of building the ultimate gaming PC for the launch of the new Steampunk themed game ‘Damnation’ and also knock up a modified PS3 in the same genre. 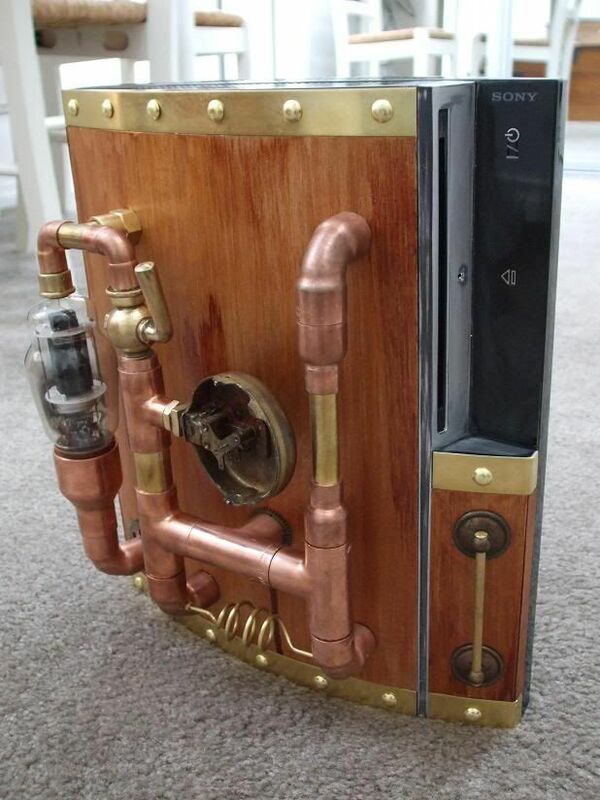 Both items were to be prizes for the launch of the game – with budding steampunkers invited to dress steampunk to win the PC, or draw their own version of a mooded PS3 to win one. In order to give the PC his full attention, Jake kindly offered me the work modding the PS3 – which I accepted with honor. So – a Sony Playstation PS3 arrives on my doorstep from the US, all sleek and black an minimalist – time to change that. 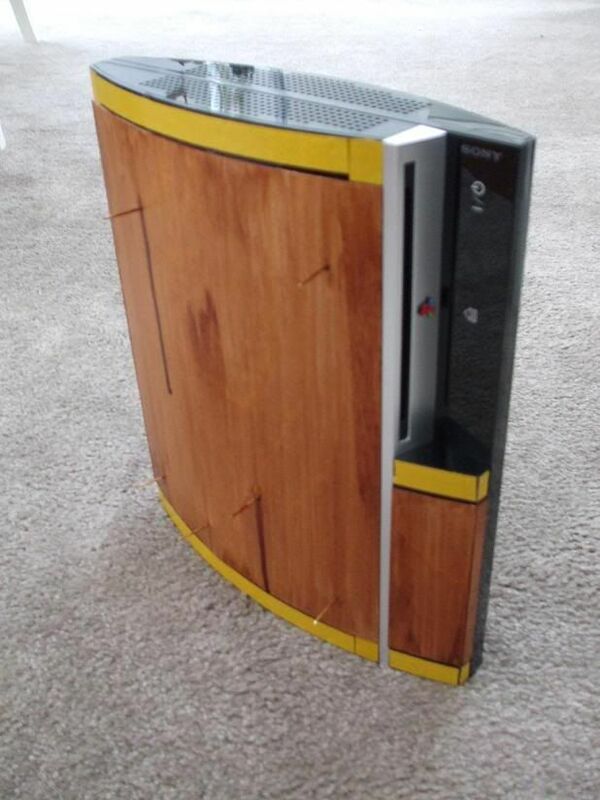 I went with a wood veneer finish trimmed with brass, as this was something I could fit to the curved outside of the PS3 without too much trouble. 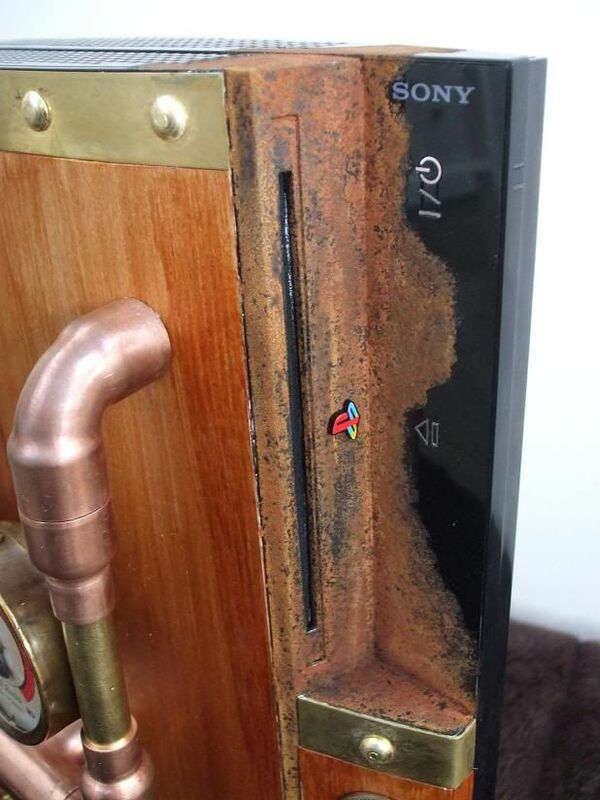 One thing about modding the PS3, it all had to be done from the outside with no internal access – otherwise all warrantees are voided! So, the wood veneer went on and I fitted it with locating pins for the items to be fitted on to the wood. 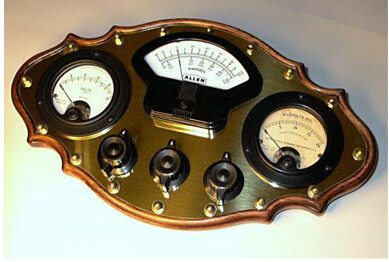 These include an old radio valve, a pipe valve, a pressure gauge, assorted brass plumbing parts and some trim. The wood veneer was then aged with a few coats of varnish. Once all parts were fitted, I needed to change the look of the remaining plastic, so I applied some Porters ‘Liquid Iron’ and then treated this with Porters ‘Instant Rust’. This applies well to plastic as long as there is a good etch primer under it first. Final addition was a hand cut 3D Damnation logo – supplied loose so the customer could place it where he thought it looked best. House of Secrets Incorporated is the independent designers identity of a Miss Hilde Heyvaert from Belgium, who specializes in original and custom-made steampunk outfits that should agree to any type of steampunk enthusiast! The lovely photograph above show several items from her “Steampunk Adventurer” wardrobe. 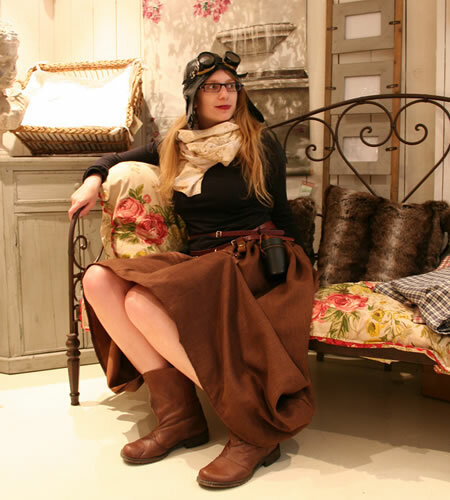 Besides the goggles (“Girl Genius”), aviator hat (“‘t Amerikaantje”), belts (“Moda Stoffen”) and boots (“Schuh”), all clothes depicted are custom made, combined to produce an attractive outfit that breaths both steampunk and adventure. May I direct your attention to this rather wonderful work in progress, as made by one ‘douglas442′, more details can be viewed here.